Inchcape Shipping Services are pleased to advise the commencement of a partnership with Blueye Robotics, delivering underwater inspection solutions to the maritime industry through the Inchcape Marine Survey and Inspection team. Together with world-leading marine engineers and award-winning industrial designers, Blueye has created what we strongly believe is the world’s best underwater drone, the Blueye Pioneer. Blueye is a spin-off from the leading technical university in Norway, NTNU. Over the past 3 years, Blueye has developed the Blueye Pioneer. 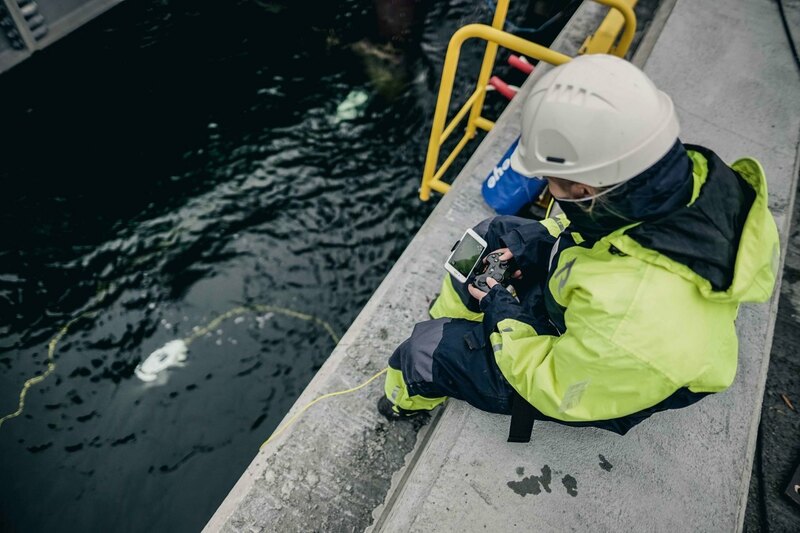 The underwater drone is designed for optimal performance in all conditions, from the Arctic oceans to tropical waters, and all the way down to 150 m below the surface. It's designed to satisfy industrial performance and reliability demands for underwater operations, and with a user-friendliness you normally would associate with consumer technology products. The underwater drone moves with total stability due to its vertical design. With powerful LED lights, the drone captures clear video footage in full HD quality in both dark, deep and low visibility conditions, enabling the maritime industry to access emerging technology supporting both vessel and port operations. Through our global Marine Survey network, the Inchcape team are utilising cutting edge technology, local knowledge and marine experience to enable underwater inspection using the Blueye Pioneer. Inchcape will be directly supplying services with the product in strategic locations around the world, providing a quick, cost effective and safe alternative for underwater inspections with the Blueye Pioneer. Commencing immediately in Australasia, the survey team combine technology and knowledge to deliver vessel and port infrastructure inspections, enabling prompt and informed decision making in regards to hull condition and damage reports, biofoul inspection and management, supporting operational, environmental and asset management. The Inchcape partnership arrangement also enables our customers to directly source the Blueye Pioneer through the Inchcape global network with delivery coordinated directly to vessel or port. Inchcape Shipping Services - Using technology and our global network to help our partners connect to a smoother, smarter ocean.